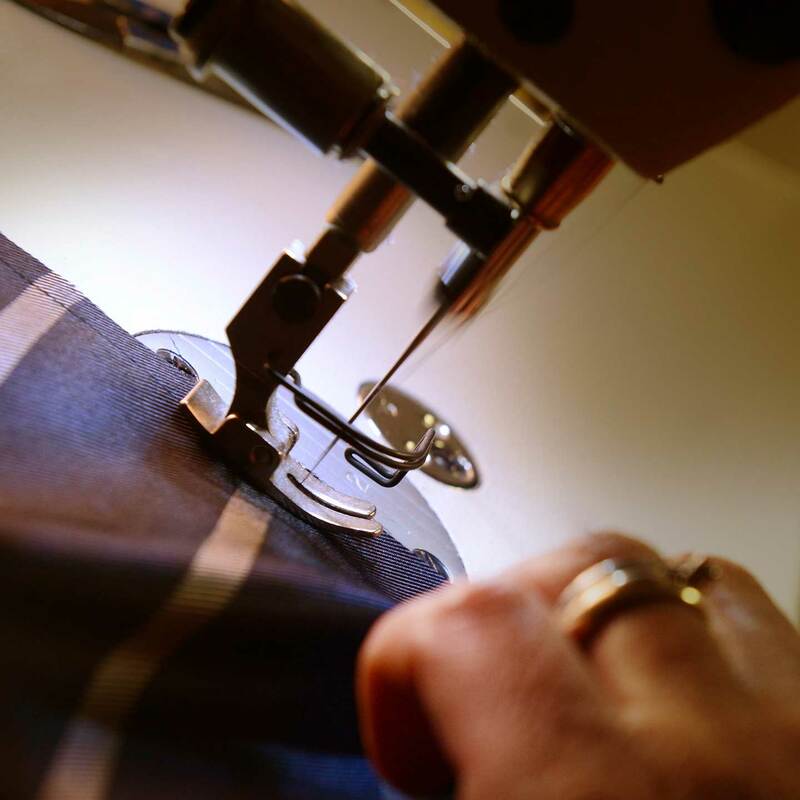 Cutting, tipping, machining, ironing, mounting, seaming, sewing keeper-loop and label, inspecting, and bagging. 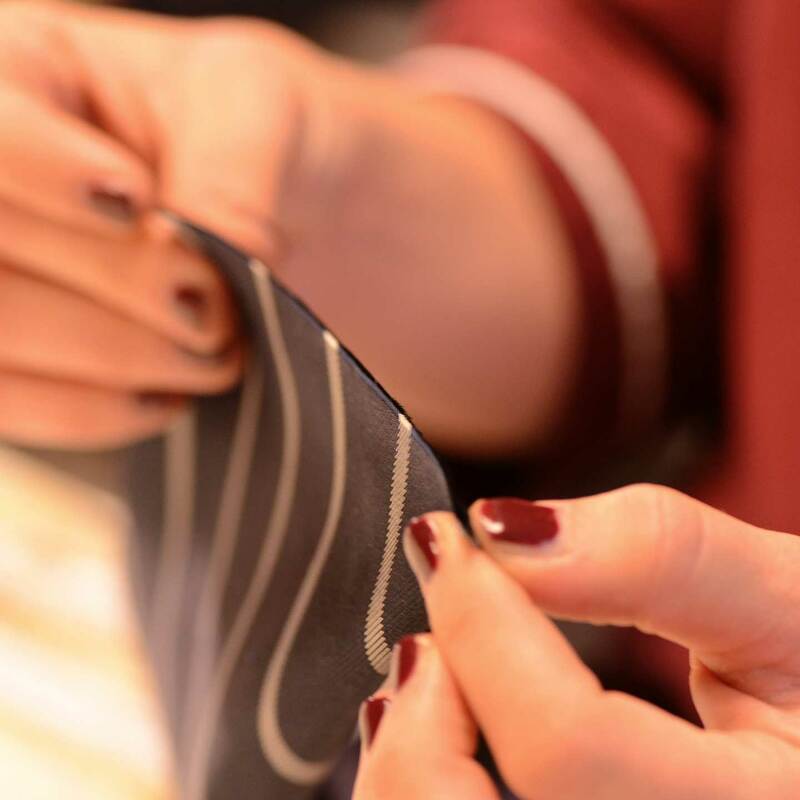 All stages that go into creating a tie, from design to packaging, are skillfully performed with great love and care, in order to ensure a unique and exclusive product. The first important step towards creating the perfect tie. 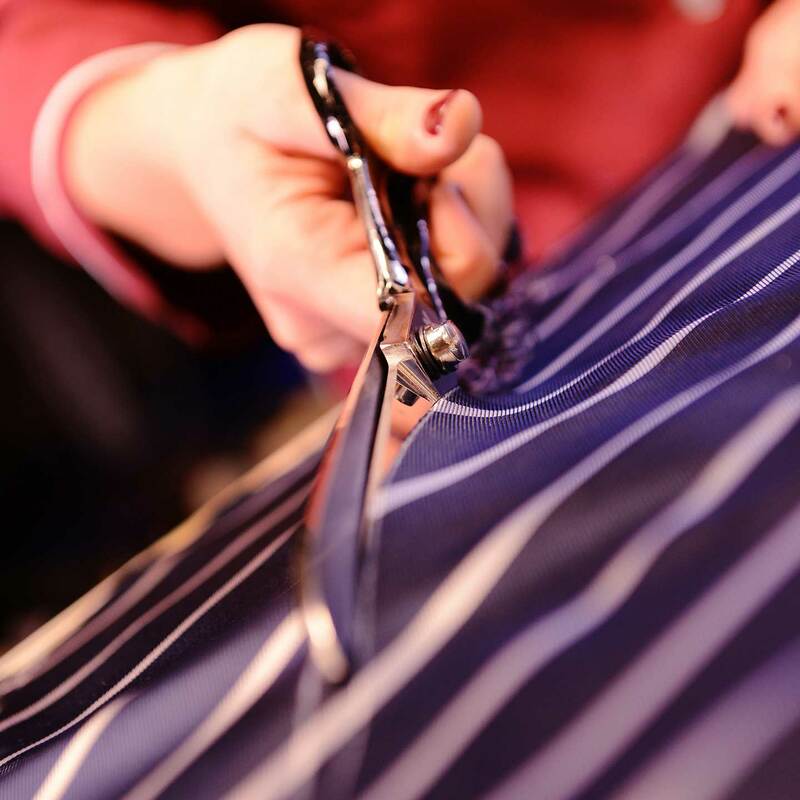 It must strictly be carried out at 45 degrees with respect to the grain of the fabric, so that the tie does not curl around itself when being made. The two tips, obtained from the cut of the fabric, must form a straight angle with the perfectly even sides. The tree pieces of fabric must be assembled together and added to the silk lining. This is the only step that requires the use of a sewing machine. 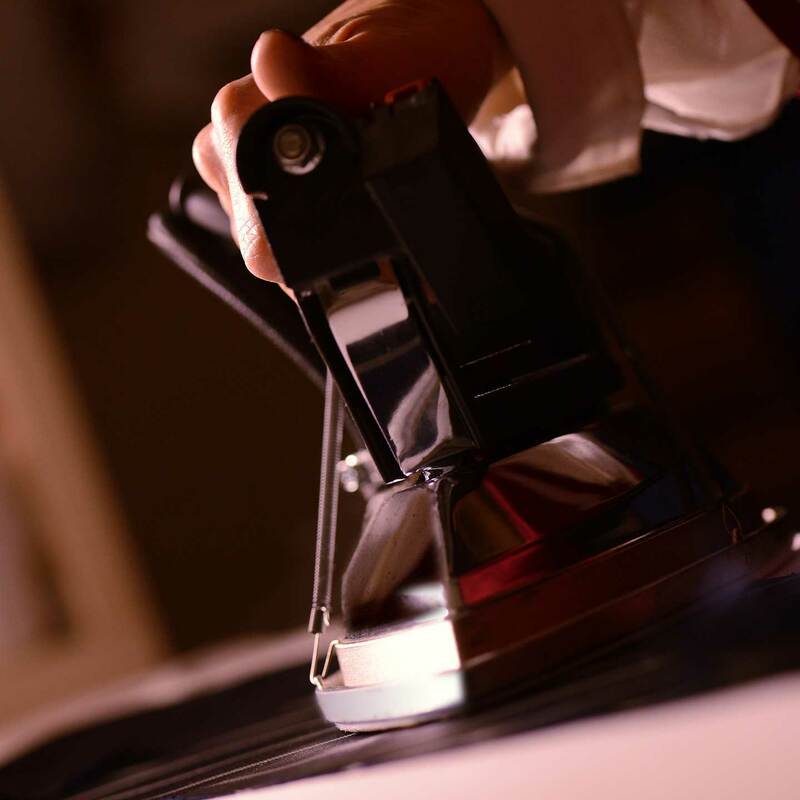 Before proceeding with the mounting phase, the tie is ironed, in order to properly fix the seams and remove any wrinkles from the fabric. With the aid of cardboard model, the interlining – the body of the tie – is wrapped with fabric and held in place with pins. 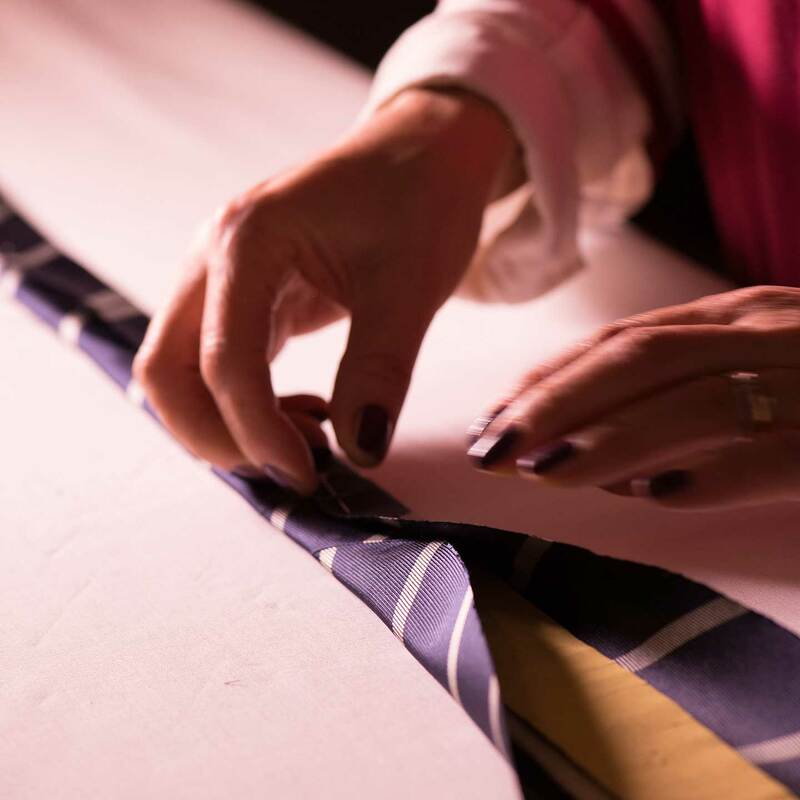 Perfectly centered on the tie, the seam must have regularly spaced stitches that keep the interlining and fabric from moving. The keeper-loop is attached to the tie with four stitches, one for each corner, along with the label. 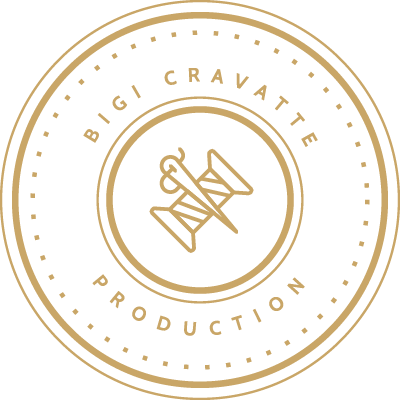 The last step of the production chain, yet, a very important one. During this step, the tie is carefully inspected to ensure that it presents all the unique characteristics of a quality product. 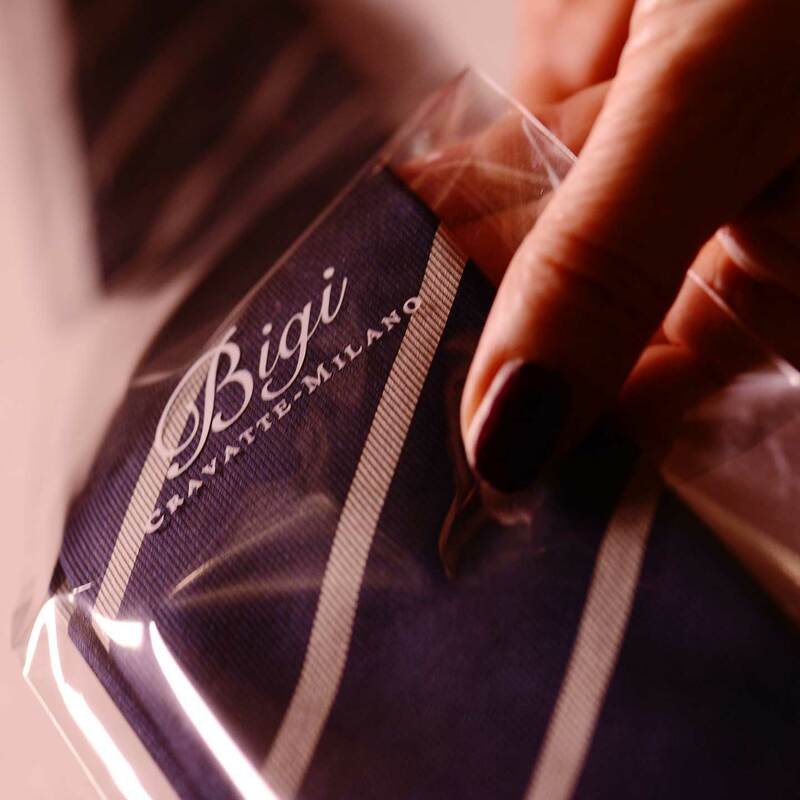 Finally, the tie is bagged, packaged, and delivered to the best stores worldwide.